Motorola's Moto 360 is modeled after traditional round wristwatches, with a metal casing that the company says will be available in multiple styles. The shape is a stark departure from other smart watches on the market, which exclusively sport designs centered around a rectangular display. "We decided that if we were going to do the Moto 360 we must do it round," Motorola consumer experience design executive Jim Wicks said. "It's a very ambitious design. I remember presenting it to the engineers for the first time, this sort of dual reaction of excitement and sort of dread fear of 'how on earth are we gonna realize that," added Motorola designer Dickon Isaacs. "All the core components are technically completely brand new, ground-up in order to support this design vision." Google features the Moto 360 heavily in its Android Wear promotional videos, though does not note the device by name. Motorola is in the midst of an ownership transition, having been sold by Google to Chinese computer giant Lenovo earlier this year. 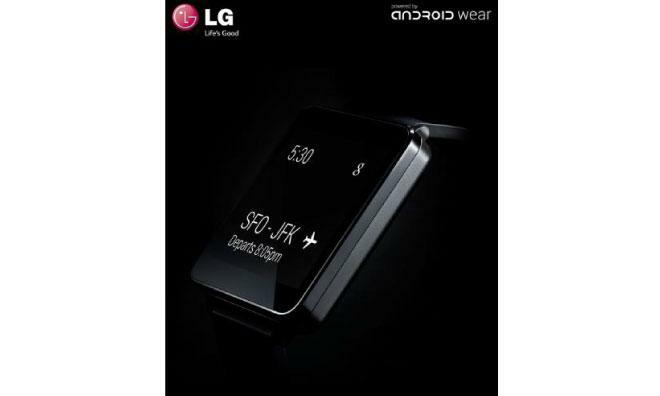 LG, meanwhile, appears to have been chosen to manufacture the de facto Android Wear reference platform. The company's G Watch sports a rectangular face, and LG —which calls itself a "lead partner" in the Android Wear initiative —touts the watch's low barrier to entry for developers. "The opportunity to work with Google on LG G Watch was the perfect chance for LG to really pull out all stops in both design and engineering," said Dr. Jong-seok Park, president and CEO of LG Electronics Mobile Communications Company. Neither company announced pricing information or hardware specifications, though both devices are expected to hit shelves this summer. Fashion brand Fossil is also planning an Android Wear-powered watch, but has yet to release details. Google unveiled Android Wear, an initiative designed to adapt the company's Android platform for wearable devices, earlier Monday. Android Wear will provide hardware partners with access to frameworks for mobile notifications, "OK Google" digital assistant support, built-in health and fitness tracking, and two-way synchronization with Android handsets.